Umbria is one of our favorite regions in Italy! Easily accessible from either Rome or Florence, even for a day trip, Umbria is filled with medieval hilltop towns, gorgeous vineyards, rolling hills… and yet it’s remained uncrowded and authentic. Want to explore this fantastic region? Here are six spots we love! 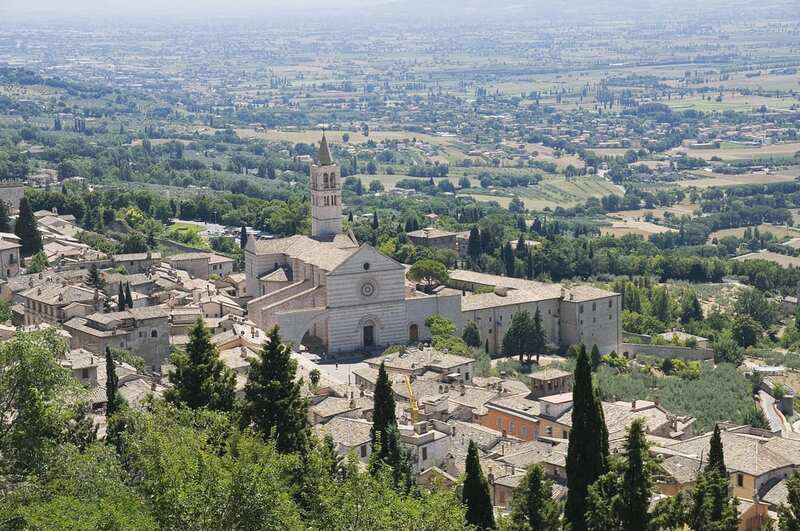 Assisi is one of the most-visited towns in Umbria… with good reason! The birthplace of St. Francis (and, therefore, a major site of pilgrimage for Franciscans and other Catholics), this medieval city on a hill deserves a spot on anyone’s itinerary. The frescoes in the Basilica of St. Francis are some of the most beautiful, and important, early Renaissance frescoes in the world (here’s more on why they’re so great, plus photos). 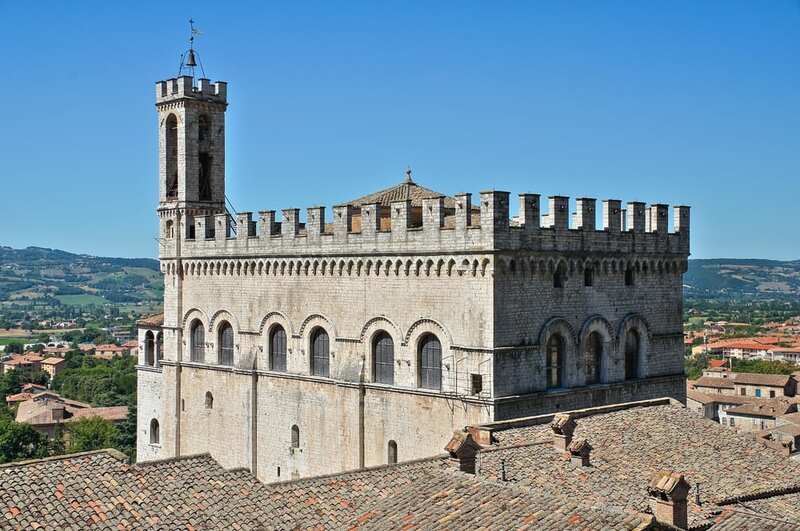 Assisi also boasts not one, but two, medieval castles, Gothic churches, and much more—part of the reason why the whole center was named a World Heritage site! The small, lovely town of Montefalco has a big claim to fame: wine! The area’s famous Sagrantino di Montefalco has DOCG protection (here’s more on what DOCG means and how to read an Italian wine label), and you can do tastings at nearby vineyards or even right in town. 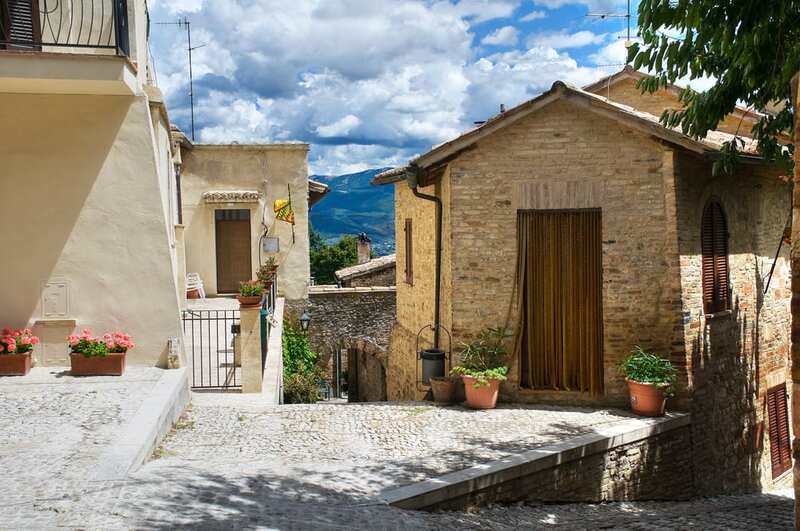 Montefalco also has beautiful views, winding medieval streets, several fascinating churches, and a kind of small-town tranquillity that’s perfect for unwinding! The ancient, hilltop town of Spoleto (the streets are steep, so bring your walking shoes!) is gorgeous. Its Duomo has vibrant frescoes by the early Renaissance master Filippo Lippi, and Roman ruins are scattered throughout the town. One of our favorite views, though, is of this bridge, the Ponte delle Torri, which is a 13th-century aqueduct built on ancient Roman foundations. 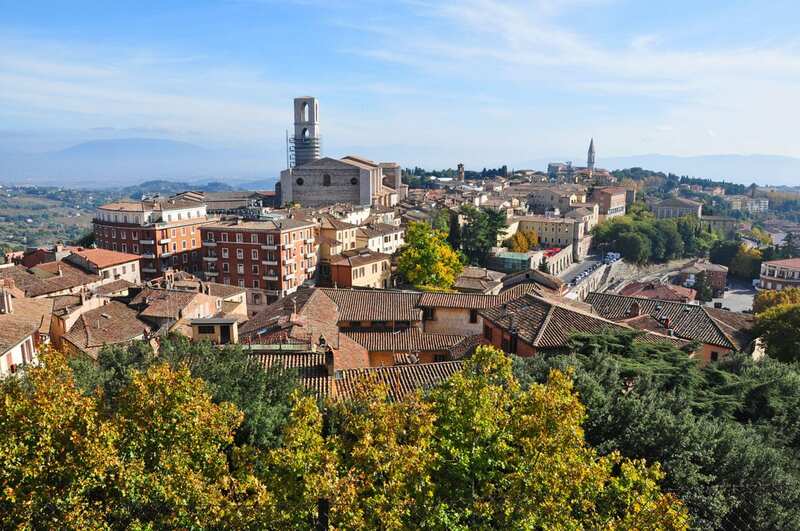 The capital of Umbria, Perugia is one of the region’s most major cities, with some 170,000 residents. It’s also lovely! With its cobblestoned streets and graceful palaces, Perugia has a wonderful atmosphere. It also boasts one of the most important art galleries in Umbria, filled with medieval and Renaissance masterpieces. And it’s home to the annual Umbrian Jazz Festival. The tiny, hilltop town of Narni is worth exploring for its beauty, wonderful food, great views, and fascinating churches, including one that has a hidden underground that was used by the Church as prison cells during the Inquisition! At the bottom of the hill, there’s also an enormous section of ancient arch, built by Emperor Augustus all the way back in the 1st century A.D.
Gorgeous Gubbio is classic Umbria: medieval buildings, hilltop location, and great views. But it also has one of the region’s best truffle festivals (here’s more on what the Gubbio truffle festival is like!). And year-round, the food is downright fantastic. Which place in Umbria do you most want to visit? Let us know in the comments! 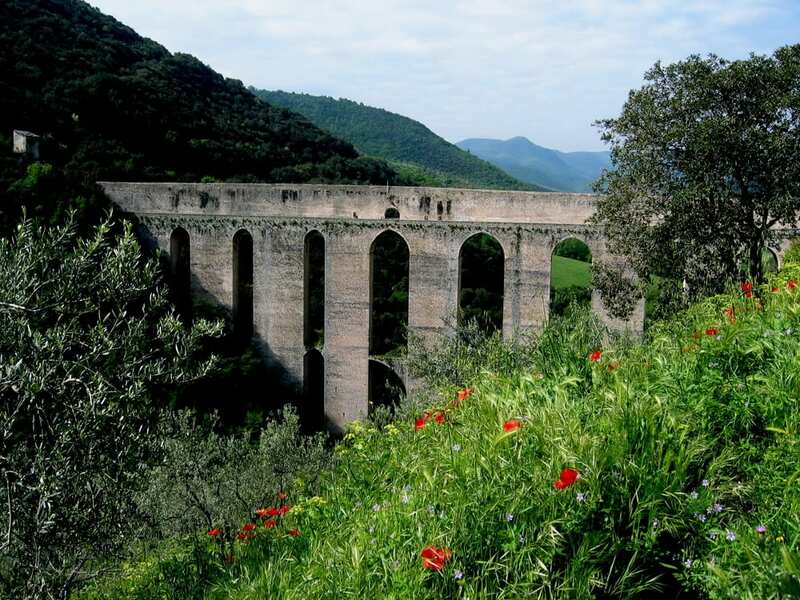 Previous articleUmbria vs. Tuscany: Which Region Should You Travel To? Assisi, Perugia and Spoleto are on my list! Beautiful Bevagna is one of my favorites. Between Montefalco and Foligno it is quiet and flat and very much Umbrian. Non-touristy! All of them! I love Italy and can’t wait to go back one day…maybe next year! There are so many places on my must see list – I need a whole year I think 🙂 Must learn some Italian too x.
Castiglione del Lago and the lake Trasimeno are my favourite spots in Umbria. Me and my husband will come to Umbria region from Rome just for one day with a rental car, I wish you to recommend me the places to see in just one day. My plan is to see Spello (little village near Assisi), then Assisi, Perugia and Orvieto. After dinner in Orvieto turn back to Rome. Is there any places better to see than this places I mention? 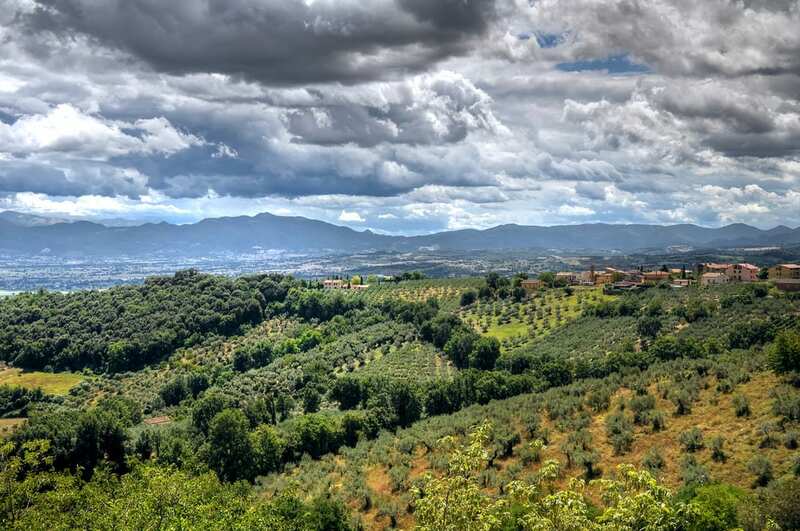 We’re so happy you’ll be spending some time in Umbria! There are tons of places to see in Umbria, but those four are often at the top of our list. That said, we think you’ll find that’s much too much to fit in in one day—Assisi alone is worth a full day at minimum. You might consider cutting out Perugia, at a minimum. This is a very useful post and probably 6 places are not enough, 😉 but definitely a good start! May I suggest two more places that are really worth a visit? Castelluccio di Norcia for the scenery, something really unique! and Trevi, another tiny medieval village between Foligno and Spoleto. Have been to Assisi, Perugia and Gubbio so will have to try and get to the others while I’m in Umbria in two weeks. 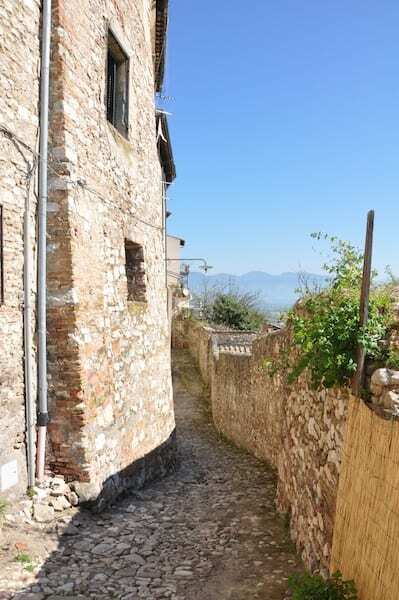 You missed Deruta, located a short 15 minute bus ride south of Perugia.. From the Main Street, take a short walk up the hill to a lovely town center and the historic museum that covers the development of the Deruta’s claim to fame, ceramics!! From ancient times to modern day designers, the museum covers it all.. Well worth seeing.. There are many ceramic ships from which to chose. I particularly enjoyed meeting the Sberna family at Sberna Ceramiche. My maternal great- grandfather had the same name as the founder, Francesco Sberna..I emailed them about this coincidence and upon my arrival, they welcomed me with open arms!! Hello!..I’ll be visiting umbria in December of this year…Can you help me with more info of how to there from Rome airport via train. Thank you! It depends on where exactly in Umbria you’d like to visit. We suggest going only to http://www.trenitalia.com and seeing which locations have a train station (most do!) then deciding from there. You can take a regional train from Rome to most of Umbria’s most popular towns, including Perugia and Assisi. Hello–my husband and I will be traveling to Umbria in October 2019 and our trip includes a car rental—is driving around Umbria that daunting with the use of GPS? We have 9 days at the Abbazia Collomedio and we want to be able to drive around to see a couple of different spots…including some of your top 6 places to visit!! I read one of your articles earlier that gave me “pause” about renting the car so I guess I’m looking for a little comfort that we can do this!! In any event, we look forward to visiting your country!! Not only is it totally doable to drive around Umbria, but in many respects it’s the best way to see the region! Driving in Italy can certainly be different than in the US for example, but the real difficulty is in big cities and heavily populated areas. Umbria has a beautiful countryside and the roads are winding but far less trafficked than most other regions. When you get to a town you want to visit follow the blue P signs for pay parking or search for white lines for free parking and hike it into the city – most are closed to traffic anyway! Have a great trip! Oh thank you so much for responding to me and giving the tips–It is greatly appreciated!! I feel better now…. Happy New Year and many blessings your way! !